Rubinshteina street in St Petersburg has reached the top of the rating of the best restaurant streets of Europe published by the Washington Post. Rubinshteina street started to change its outlook in 1994 when Mollie’s pub established itself with its European atmosphere. Although the street was popular until then too. Sergey Dovlatov spent a lot of his life here, and during the Soviet years ‘Coffee-machines’, a symbol of the scientific and technical revolution, became the main sight of the street. 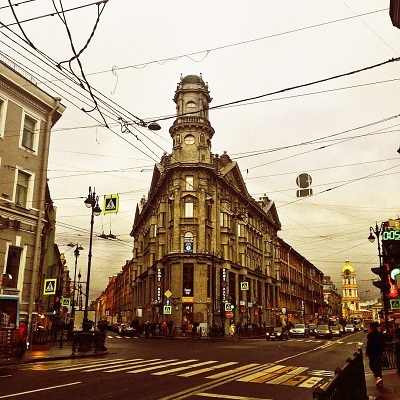 Today cafes, restaurants and bars can be found nearly everywhere on the street from Zagorodny to Nevsky prospect.